Very interesting and intense show. I picked this on a random scroll through the dramas. I really hated when I had to stop watching. I was so drawn in, I wanted to be there, observing. Trying to understand the logic behind what had happened. Every time a crack appeared, and you got that much more of what was going on. It was incredible, and I'm glad I watched this one! Would recommend to anyone. Mita is a relatable character in a sense. She gives off the vibe of trying to be perfect which she can accomplish. The family, as dysfunctional as they come across as at times is one who cares about each other and is willing to go to lengths for one another. The dad could have done many different things, but the kids and him come together. I'm not sure how to categorize this show. Overall, I really enjoyed but there were some issues I had. Never having watch a Japanese show such as this, I couldn't say what's "normal" and acceptable. The whole idea of the father causing the kids' mother's suicide caught we way off guard; definitely something I wasn't expecting. The topic is a bit mature in my opinion. 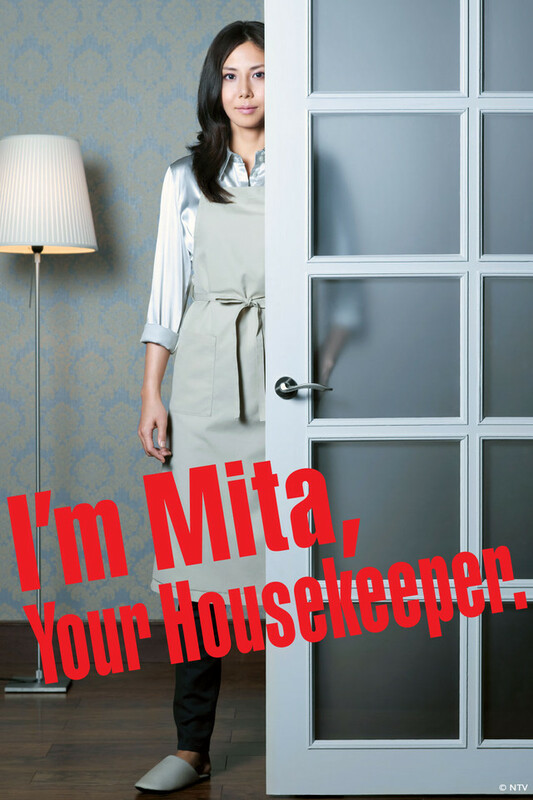 The portrayal of Mita's character is confusing; I thought she was a robot at first .... really! Some parts are formulative, such as the round-robin everyone does in those dramatic moments. All that said, I still really enjoyed it. Lots of turns and twists, and symbolism which keep things very interesting. I definitely would recommend the show although some of the topics are a bit mature for some younger audiences. I took the advice and skipped the "SP" episode, though I may watch it at some point down the road. Just when you think you know what is going on and exactly what will be said, BOOM, it takes a turn you probably weren't expecting. The actress that plays Mita hit the nail on the head with her attitude (don't want to give anything more than that away). The kids are also well played by the actresses and actors who know how to be naive kids and then insightful little adults. Loss is a big theme in this series so if you've ever experienced it (as I have) it will keep you coming back for every episode. But I do agree with some of the other reviews. You don't really need to bother with the last "special" episode. It's not going where you think or hope it does. So the story is simple, mom dies and a single father can't take care of his four kids alone so he gets a housekeeper, one that does everything she's told. This show is both dramatic and creepy. The way the concept is handled is just perfect, everything from how the clueless kids handle the power of controlling another human being to how the dad's relationship with his kids, it's really great. This serie show the importance of open up to others while exploring how people's think differently in different situation. It hade me terrified, crying, smiling, loving the kids and it touched me deep. The only time I think you would not like it, is if you can't stand shows without humor since this one is very serious. I would also think it's a bit to much for people under 15. I...where is season 2? This can't be the end! This was the first TV show I've ever watched that genuinely made me cry. Wow, what a amazing story. I just wish there was more. I've never watched a more grasping show. This was truly amazing. I wish they would've made another season. I wanted to know if she ends up truly coming to terms with things and how her life would be after and her relationship with the kids etc. Excellent series. One of my top favorites in Japanese Drama. Had me in tears too many times, tearing at my heart. Pretty amazing how everything tied together at the end. This series was well written. 5 stars for this one. I understand Japanese a lot better than Korean so it was a very pleasant break from the usual, much easier to follow along. I finally found another great Japanese Drama worth watching. It's well written but a bit poorly executed. To keep it short this is a very well written show. It is story heavy and relies on character development to tell the story as opposed to many drama that resort to flashy characters, sound effects, and cheesy and annoying gimmicks to try and be different. This drama is more of a serious drama with some humor thrown in. The characters are very interesting and unique. The acting is superb! This is probably the main reason I was able to stick with the drama until the very end. It's very realistic for the most part and I can understand why most character do the things they do. It's a very good drama overall but I find myself getting more annoyed with the drama as it goes on. It started to feel dragged out and unnecessary. I feel like a lot of scenes in the later half of the show is boring and not needed, causing the drama to be a few episodes longer than it should have been. The bad moments of the show are also extremely bad, which confuses me as to how bad it can be since the rest of it is actually pretty good. Surely it was on purpose or to be funny? None of which are justified. I find myself saying out loud "really?" and "uhh... what the f*%$" a lot. The drama is also very depressing. A bit too moody and emotional for my taste. I can understand why some tears is necessary at certain times, but a lot of the time I feel like it's forced, drawn out, and excessive to the point where I feel awkward or uncomfortable watching. definitely worth watching. Its drama, no action, only daily life heroes and villains, so me liking it is somewhat unlikely. In spite of this I ended up liking it. There's lots of character development, and the characters are interesting - each in their own right. The acting is superb, and the castings fill their roles very well. The show is beautifully produced and very easy to watch. In some scenes some of the characters are slightly over the top, but not to an extent that ruins the experience. If you're a fan of drama, reallife problems centered around how to be a family, you've caught probably one the best shows in the category, and you're in for a treat. It probably deserved a 5 star rating within it's genre, but I have to stay true to my shonen ideals, so it'll have to settle for a four for now.